Heavy rains and frozen ground flood local Brainerd school. SERVPRO of Brainerd and Park Rapids was recently called for an emergency flooding in the lower level of a school. The Brainerd Dispatch caught us in action in an article by Theresa Bourke on Mar 17, 2019 at 5:00 a.m. If any Brainerd students thought the flooding at three school district facilities would mean a longer spring break, their hopes are about to be dashed. "Everything's cleaned up pretty well. It'll be ready to go by Monday, "Building and Grounds Director Earl Wolleat said Friday afternoon, March 15. So despite flooding at the Washington Educational Services Building, Forestview Middle School and Brainerd High School Thursday, all classes will resume as scheduled Monday. Muddy water flooded the cafeteria at Washington school, Wolleat said, while the office at BHS and maintenance room at Forestview also fell victim to water. "What happened is those rain leaders, when they contact the sewer mainline, they tend to freeze up. And if you get rain this early in the year, it's a problem," he said. "We're not supposed to be having an inch of rain when we've got really cold temperatures and frozen ground." But the messes were cleaned up as of Friday, with just a final scrub left to do on the Washington cafeteria to prepare it for students Monday. Wolleat said he will put a camera down the pipe at Forestview to make sure everything is intact. "We'll just do what we need to do to make sure it's all back in shape," he said. "It takes some time to totally figure out what has to be done after all the ice melts away from everything." Investigations on potential damages from the water are still ongoing. The flooding caused the district's KinderClub and Fun 'N' Friends programs to be moved to Riverside Elementary School Thursday and Friday. Helping make it "Like it never even happened." 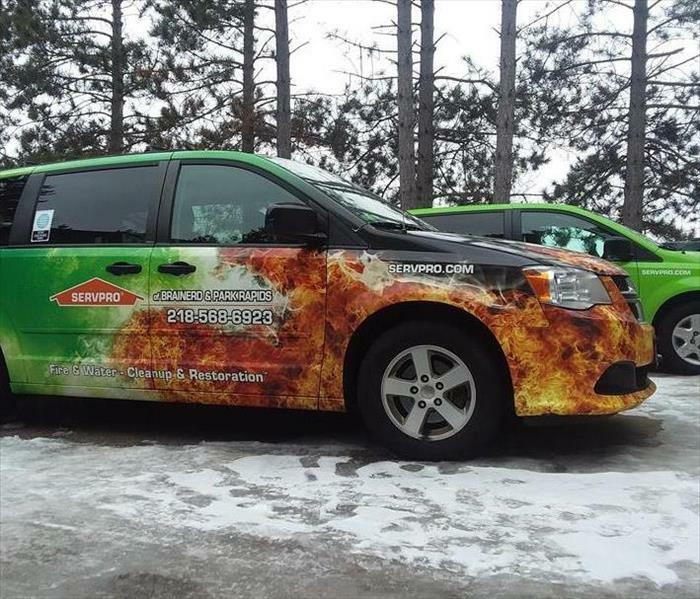 SERVPRO of Brainerd and Park Rapids provides 24 hour fire and water damage restoration service in Cass County. SERVPRO of Brainerd and Park Rapids is available 24 hours a day for water emergencies, large or small. When you are dealing with water damage, immediate action is crucial. A delay of just a few hours can greatly increase the severity of the water damage. We understand that when you call us, you may be feeling confused, stressed, and vulnerable. You need an expert to guide you through this crisis. SERVPRO of Brainerd and Park Rapids has the specific water damage training and experience to help you through this tough time. We specialize in water damage restoration-in fact, it's the cornerstone of our business. 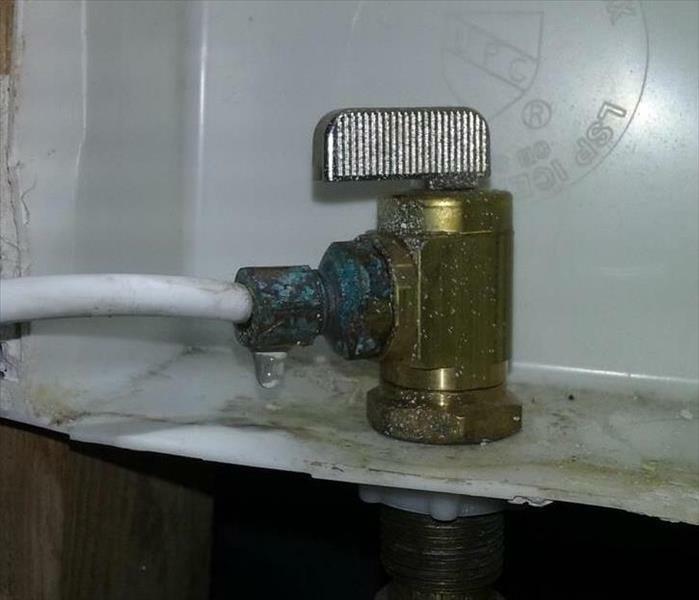 With any leak, IT'S THE WATER YOU DON'T SEE that may cause the most damage. Whatever the cause, water damage that occurs to your home in Crow Wing County can be incredibly stressful and costly to deal with. Especially severe cases can damage the structure of your house, completely destroy furniture, ruin personal belongings, and cause mold to grow. The key to avoiding water damage is by ensuring there is no excess water in your home due to leaks, puddles, or too much moisture in the air. Here are four common causes of water damage to be aware so you can prevent them from ever happening in the first place. HVAC systems are prone to leaking or freezing due to dirty coils, a broken pipe, or temperature issues. Make sure to perform regular maintenance and inspections on your HVAC and address any concerns before leaving your home on vacation to avoid leaking water in your home while you’re away. Undiscovered leaks and moisture build-up can cause damage to the floors, walls and ceilings of your home, leading to soft drywall, warped floors and ceilings, or worse problems. 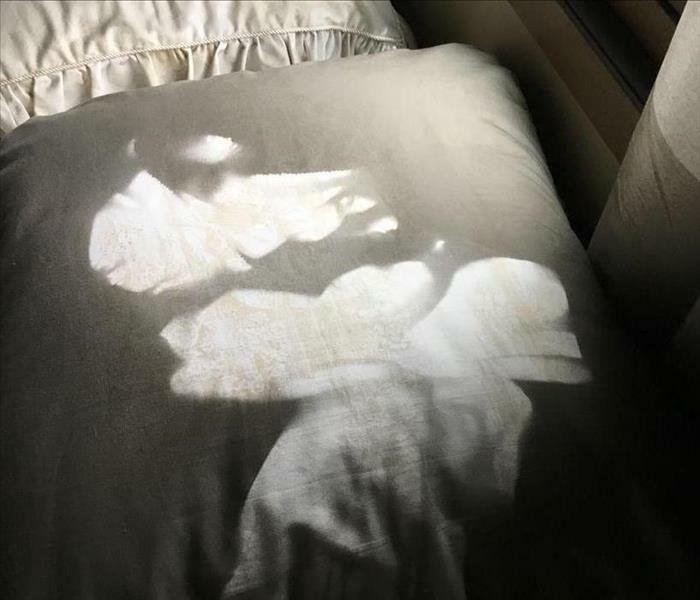 This damage may go unnoticed for an extended period of time, proper cleanup is important to the restoration of your property, possibly reducing the cost of repairs needed. Now that Thanksgiving is over, many of us will be decorating our hoes for Christmas. While decorative lights and other electrical decorations add to the magic of the season, they can increase the risks of fire and electrical injuries if not used safely. 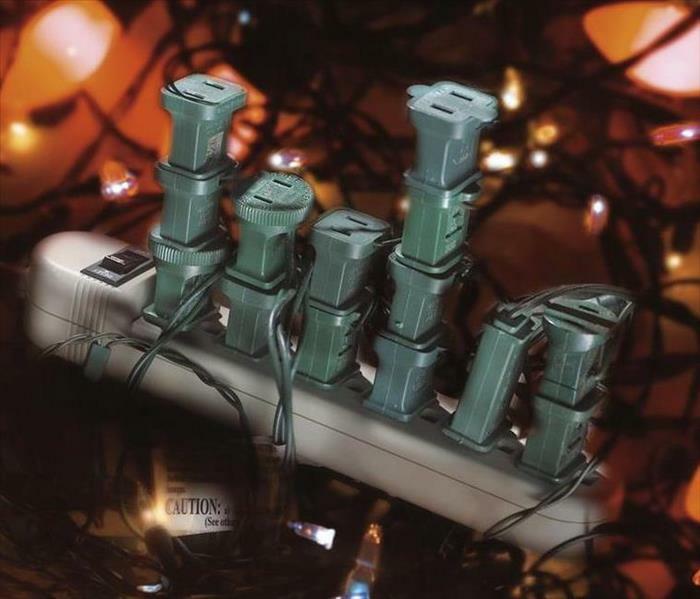 Follow the manufacturer's use and care instructions that accompany electrical decorations. Make sure that cords are not pinched in doors, windows or under heavy furniture, which could damage the cord's insulation. Do not mount or support light strings in a way that might damage the cord's insulation. Remember SERVPRO of Brainer and Park Rapids is Here to Help @ 218-568-6923. Crow Wing, Cass, Wadena and Hubbard county residents, if you suspect mold follow these safety tips. Contact SERVPRO of Brainerd and Park Rapids for mold remediation services. SERVPRO of Brainerd and Park Rapids specializes in mold cleanup and restoration, in fact, it's a cornerstone of our business. Our crews are highly trained restoration professionals that use specialized equipment and techniques to properly remediate your mold problem quickly and safely. Smoke and Soot Damage Can Cause a Pervasive Odor in Your Crow Wing county home. Make sure your oven is empty before turning it on. Turn pot handles inward over the stove. Remember to "stand by your pan" and stay in the kitchen when boiling, frying or broiling. 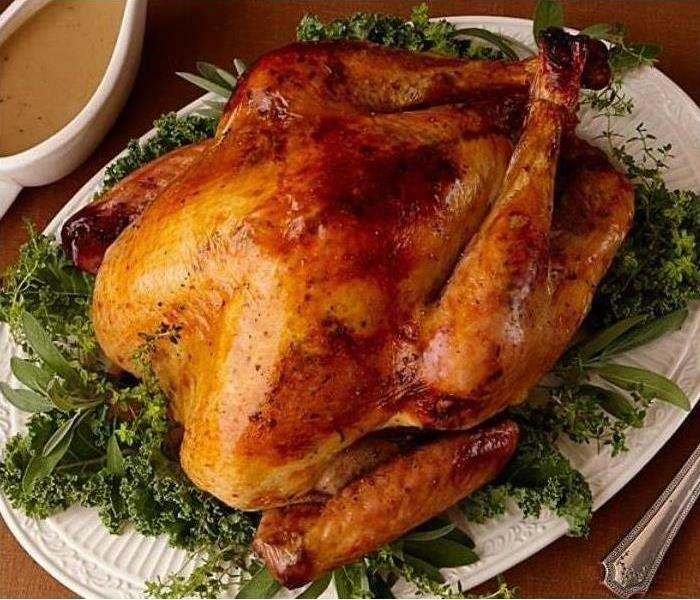 Use a timer when baking or roasting and never leave the house with the oven cooking. The best way to respond to a stovetop fire is to "put a lid on it" and turn off the heat. If the fire is not quickly snuffed out, leave the house and call 911 from outside. Remember SERVPRO of Brainerd and Park Rapids is always Here to Help at 218-568-6923. Save our phone number to your phone so that you can be Hero Ready if disaster strikes you home or business. 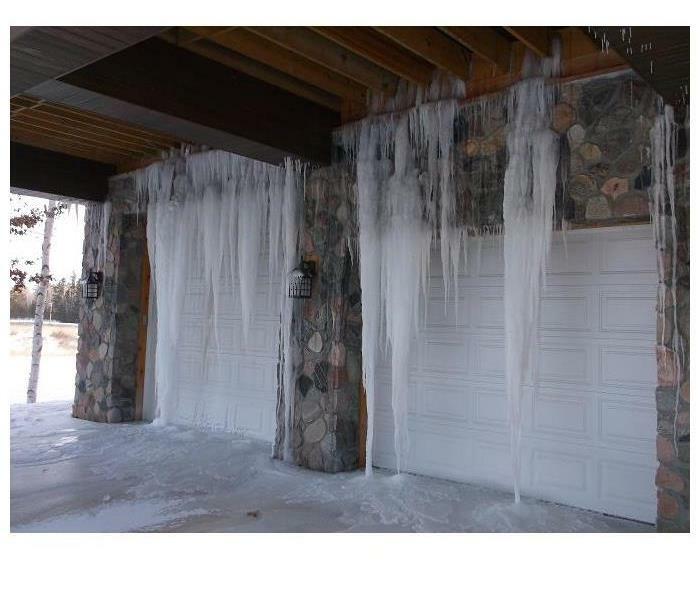 This was caused by freezing temperatures and a burst pipe. An external water spigot froze and burst inside the wall and caused this waterfall of ice along with extensive water damage throughout this three story house. The damage included SERVPRO needing to remove all hardwood flooring on the main level and removing all of the drywall throughout the lower level. 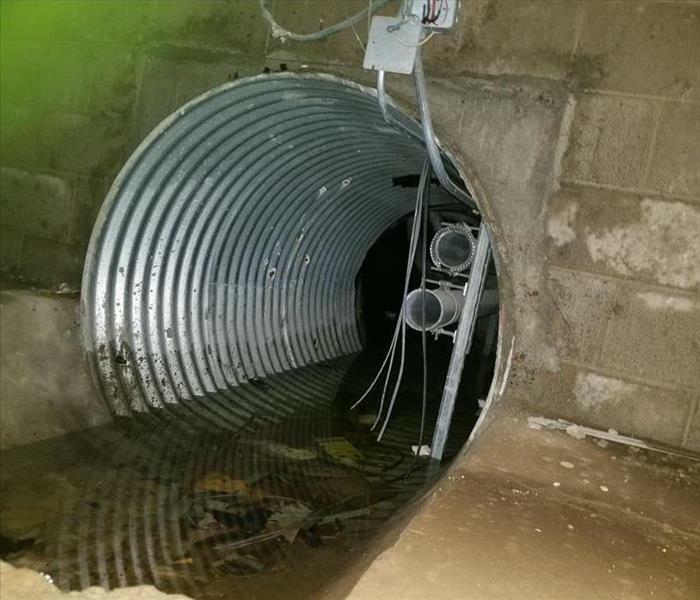 This picture is what the homeowner arrived home to see. SERVPRO of Brainerd and Park Rapids was called in to clean up the aftermath! While this was a trying time for the homeowner he was glad we were on-site to start the drying process immediately. He had even said, "Now I can refinish my house the way I should have done it in the first place. Thank you for what your crews have done for me." He even called SERVPRO of Brainerd and Park Rapids to perform the post-construction clean-up. 3/1/2019 - With any leak, IT'S THE WATER YOU DON'T SEE that may cause the most damage. 11/27/2018 - Crow Wing, Cass, Wadena and Hubbard county residents, if you suspect mold follow these safety tips.